The U.S. Presidents who followed Harry Truman in office made it a practice to provide the former President with periodic intelligence briefings. During the Johnson administration this assignment was usually performed by the Deputy Director of Central Intelligence, General Marshall S. Carter. General Carter had a penchant for injecting humor into his briefings, and Truman appreciated it. During the early days of the 1964 Congo crisis, USAF aircraft were dispatched on low-level reconnaissance flights over missionary outposts in an effort to determine the whereabouts of the missionaries and to assess the condition of their missions. At the time, there were more than 3,000 missionaries scattered throughout the Congo, A U.S.- Belgian airborne rescue operation, which would eventually save the lives of 230 European and American hostages held in Stanleyville, was in the planning stage in the fall of 1964. 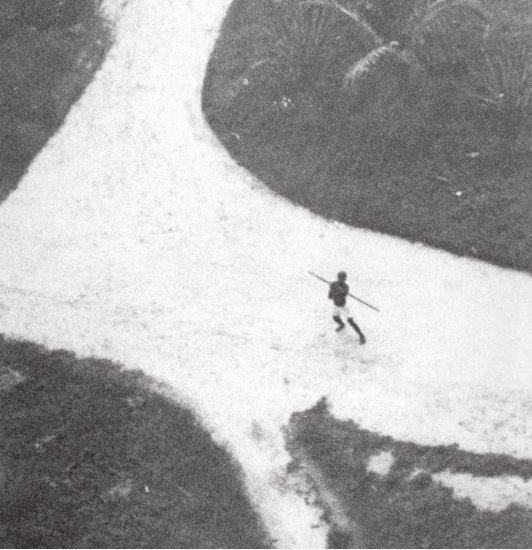 Flying reconnaissance at low levels is always hazardous because of the threat of small-arms fire, but we at the National Photographic Interpretation Center were surprised to see on a photo acquired on one of these missions a Congolese peasant in the act of throwing a spear at the reconnaissance aircraft. General Carter saw the photograph and decided to use it in his briefing for Mr. Truman. The President paused, reflected a moment, and then smiled: “I’m sure, in that case, you military people would make certain that the record identified the weapon a ‘SAM, Mark I, Mod 1.’ General Carter agreed.